Meet Albert Wiggle. He is a bit weird and eccentric, drawn to all kinds of mysteries and dangers! Albert inherits The Lemon Shop in the woods from his great uncle Bert Wiggle, but he is allergic to lemons. He'd rather solve cases, catch monsters and villains, and fight evil. One by one clients start turning up at The Lemon Shop, clients with strange problems only Albert can solve. 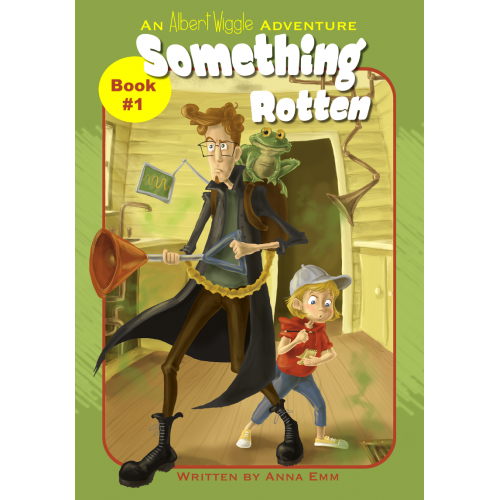 Together with his YouTubing-assistant, Mila, and a talking frog, he takes on these cases ... and soon becomes known as a sleuth extraordinaire. MORE ALBERT WIGGLE ADVENTURES TO COME IN 2019! !